The Utah Department of Transportation (UDOT) operates a network of roadside weather stations across the state. A number of these were equipped with Campbell Scientific CS120 visibility sensors. 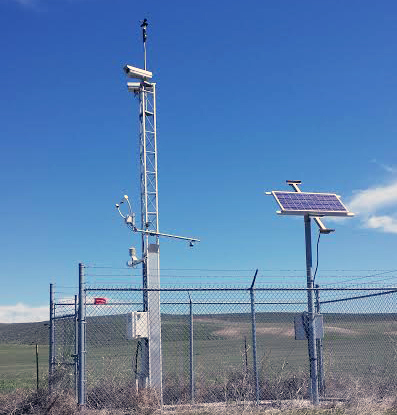 During the 2013/14 winter, UDOT conducted a trial of a CS125 present weather sensor. Following this trial they decided to upgrade 25 existing CS120 visibility sensors to CS125 present weather sensors, and additionally purchase 28 CS125 sensors, making 53 in total. These were all operational by fall 2014 and allow UDOT to obtain rapid, reliable visibility and precipitation information from across the state. John Markham, Campbell Scientific, Inc.